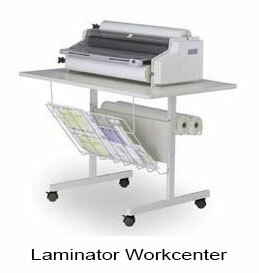 The Premier 4 is a mid range laminator designed especially for copy and print shops, sign shops, in-house graphics department, school supply store and other general business applications. 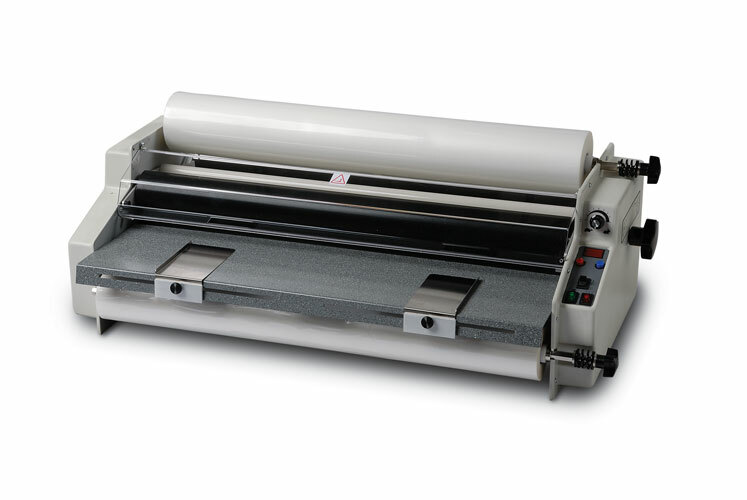 25 inch width, medium-duty laminator, designed for applications setting a benchmark for quality, durability and reliability. 2 year factory warranty. Weight / Shipping Weight 84 lbs. Max. Film Roll Diameter 5 1/2"
We recommend using #12 Gloss School Film for the Premier laminator. The #12 low melt film laminates at a lower temperature 240-260 F. Low temperature laminating films bond to a wider range of products. Free shipping within continental USA (48 states). Charges to Alaska and Hawaii will be higher. Send email for quotation to other locations.